Back cover: "Leaving a life of privilege to strike out on her own, Lauren Durough breaks with her family's expectations and takes a part-time job from 83 year old librarian Abigail Boyles. The mysterious employer asks Lauren to transcribe the journal entries of her ancestor Mercy Hayworth, a victim of the Salem witch trials. Immediately, Lauren finds herself drawn to this girl who lived and died four centuries ago. As the fervor around the witch accusations increases, Mercy becomes trapped, unable to fight the overwhelming influence of snap judgment and superstitions. Lauren realizes that the secrets of Mercy's story extend beyond the pages of her diary, living on in the mysterious, embittered Abigail. The strength of her affinity with Mercy forces Lauren to take a startling new look at her life, including her relationship with Abigail, her college roommate, and a young man named Raul. But on the way to the truth, will Lauren find herself playing the helpless defendant or the misguided judge? Can she break free of her own perceptions and see who she really is?" 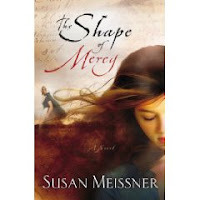 Shape of Mercy is an amazing book, combining the present day life of Lauren with the past life of Mercy, a young girl accused of witchcraft during the Salem Witch Trials. During the progress of transcribing the diary, Lauren learns about life, herself and relationships. The story captures your attention from the very start and holds it the entire book. I had come across several reviews that described the book as haunting, moving, memorable, compelling, intriguing, exquisite and/or beautiful. I was skeptical, but after reading the book have to agree with all those attributes. It is a moving story that goes straight to the heart and keeps your reading. Highly recommended. I'll leave you with a teaser - the beginning paragraph of Chapter one. 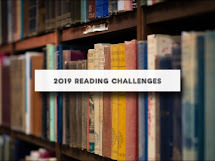 "I've heard the story countless times, how I grasped the delivering doctor's scrubs as he guided me into the Durough family universe of opportunity and duty. My father likes to say I came out of my mother's body insistent on being taken seriously, declaring to the doctor who held my slippery limbs that I was no helpless female unable to forge her way through the world of men."